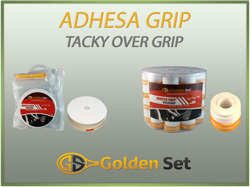 Golden Set replacement grip and over grip are incredibly affordable and provide outstanding quality. Our customers deserve exceptional quality at an unbeatable price and we proudly deliver this to you. Our customers also deserve product information that they can understand, making it easier for you to make the right choices. 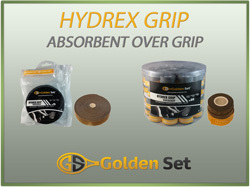 Replacement grip (sometimes referred to as cushion grip), the same type of grip that comes pre-installed on new racquets, should be wrapped over the bare handle of your racquet. It acts as the foundation of your grip. Unlike overgrip, replacement grip has a substantial thickness which is critical to providing a comfortable feel. 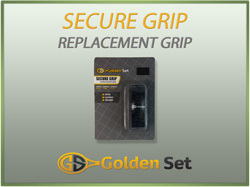 Both of Golden Set replacement grips, Elan and Secure Grip, offer excellent cushion, durability, tack and easy installation features. Golden Set Elan Grip, a perforated grip, is slightly thinner than the Secure Grip but actually has a slightly softer feel. 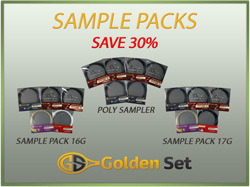 Golden Set Secure Grip has a firmer feel with small round embossments for added texture.